Emails act like first impressions at parties. There are dozens to interact with and if your email is attractive enough to get someone to take a chance and choose it, the conversation, or content, must be interesting and relevant enough to keep the person interested. Also, one bad impression could permanently damage or destroy a relationship. Therefore, the language in email writing can make or break relationships. In other words, they can come off professional and courteous, friendly and energetic, pushy and disorganized, or lazy and uncaring. Unlike mingling at a party, in the professional world, poor communication means losing a client, customer, account, job offer, conversion rates, and/or money. 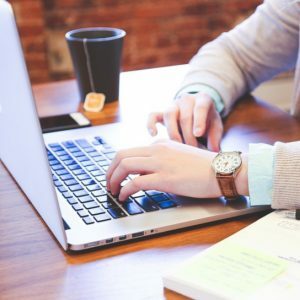 Ultimately, refining and developing email writing techniques and abilities is one of the easiest steps to ensure professional success. Start the email with a kind and caring greeting and the recipient’s name. People enjoy pleasant communication and they love their name more than any other word. Consequentially, this step guarantees they will take more care in reading the email because you took care in writing it. The center is like the filling of a sandwich – it is what the people really want. Therefore, fill the center of the email with the really good and juicy content. Make the recipient enjoy every last bite of that email. This includes avoiding spammy content, like the words “free” or “buy now” and exclamation marks. Instead, make the email’s purpose simple to understand and read. For instance, use bullet point lists or strategically placed transitions, keeping the email short and to the point. This content section is where you use interesting a valid details, data, and logic to convince the recipient that the upcoming call to action is valid. Finally, finish the email with action steps and a sign-off. The action steps cannot be pushy but informative in case the recipient chooses to follow through. These steps must come off as suggestions and not commands. Also, keep the sign off personable by remaining friendly like the greeting was. This ending leaves the recipient satisfied and enthusiastic for future correspondence. Check technical writing, including spelling, grammar, punctuation, and capitalization. One mistake decreases your authority as a professional, decreasing trust. Check details, primarily the names, dates, times, locations, and emails. Misspelling a recipient’s name could make them feel unimportant and like the business doesn’t care. Also, if any other information is wrong, the email might not make it to the proper recipient, the recipient might be unable to contact you back, or they might not attend an event or meet a deadline. Wait till the end, so the email content is fully realized and able to inspire the heading. Write the heading like a striptease. The heading must hint at the content in an energizing, mysterious, or fun way, without giving away everything at first glance. Asking a question works well because it makes the recipient realize they do not know something, and humans desire knowledge. Do not make the heading in all caps and keep it within 40 characters or 5-8 words long. If you struggle thinking of a catchy heading, look at the emails that you click. This shows you the language that stands out as valuable. You should save the best emails you get into a reference folder for when you write your own emails. Another good reference is looking at news headings. This includes newspapers, magazines, and online journals. These sources know how to make a heading pop, getting people to read. Look at places like The New York Times for great heading samples. Sending the email at times when people take breaks is best. This includes lunch and afternoon breaks. Therefore, sending emails around 11-12 and 3-5 is best. Avoid sending emails in the middle of the night because most people go on deleting sprees in the morning. Now that your email writing and tactics are perfect, send that email and build relationships with current and potential customers and clients!